There is something about a textured sock that looks inviting and cozy. 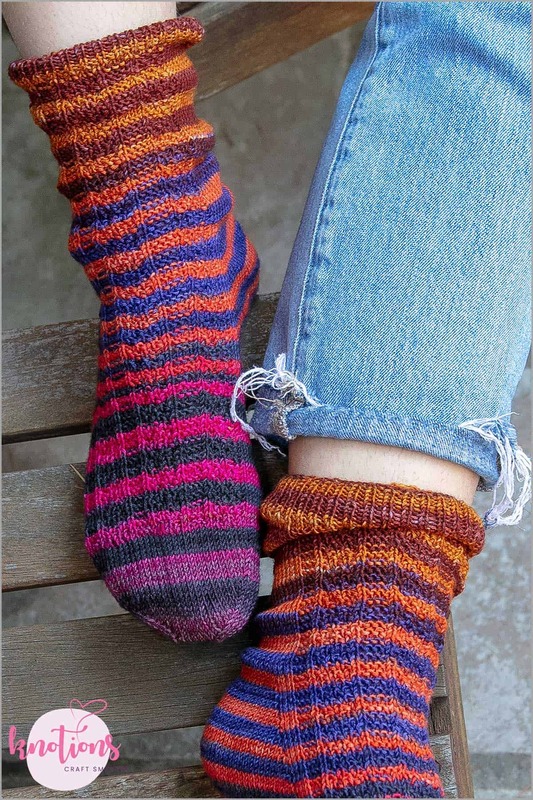 Corrugated is designed to be visually interesting while at the same time being deceptively easy to knit; the stitch pattern is just a few cleverly placed knits and purls across the front of the sock with mindless, meditative stockinette stitch across the back of the sock. There’s just enough variety to keep you engaged, but at the same time it’s mindless enough to get you through your next Netflix binge. 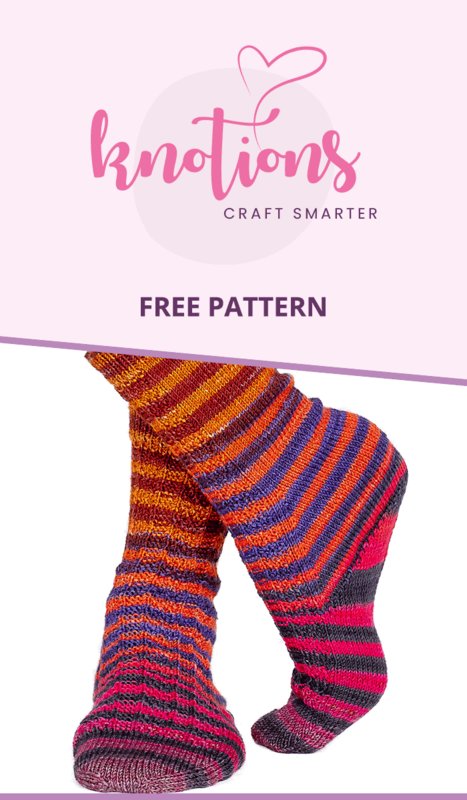 In the end you’ll have finished the latest season of your favorite show and have a pair of squishy, warm, cozy socks to wear for your next Netflix and knit night. Thanks to Judy for knitting the sample! Urth Yarns Uneek Sock (75% Extrafine Merino 25% Nylon; 220 yards [200 meters]/50 grams): #51, 1 set of 2 balls for all sizes. 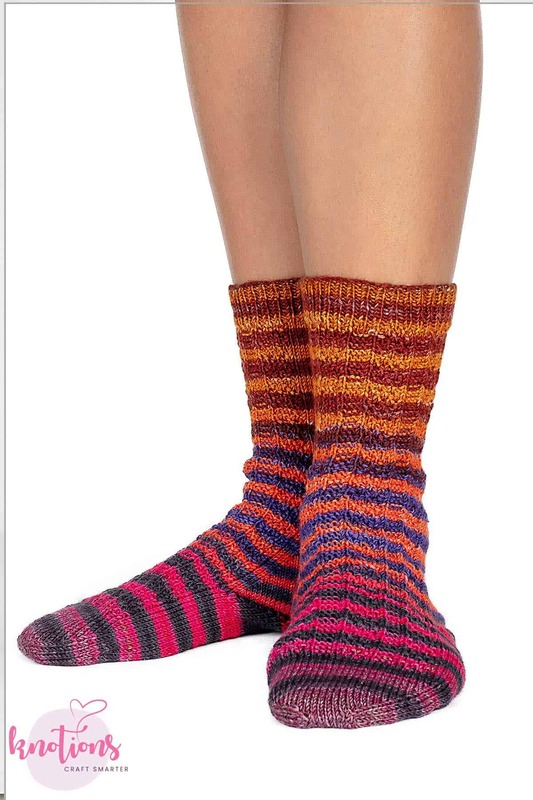 Thanks to Urth Yarns for providing yarn support for the Corrugated Socks! 32 sts and 48 rows = 4” [10 cm] in St st in the round after wet blocking. 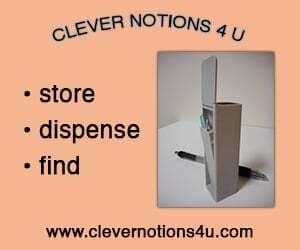 Instructions are provided for the smallest size with instructions for other sizes appearing in parentheses. If there are no parentheses the instruction applies to all sizes. Slipped stitches are slipped purlwise with yarn in back unless otherwise indicated. The heel flap, gussets, and instep sts are worked simultaneously in the round (no gusset sts to pick up). CO 60 (70, 80, 90) sts, pm for BOR and join for working in the round being careful not to twist sts. Rnd 1: *k1, p1, rep from * until end. Rep Rnd 1 a total of 12 times or until cuff measures 1” or 2.5 cm. Set Up Rnd: K15 (15, 20, 20), rli, k15 (15, 20, 20), k to end. 1 st inc’d, 61 (71, 81, 91) total sts. Pattern Rnd: Using either the chart above or written instructions below, work the Corrugated st patt across the first 31 (31, 41, 41) sts, k to end. Repeat the Pattern Rnd until work measures 6” or 15.2 cm as measured from co edge. Rnd 1: *K5, (p1, k1) twice, p1, rep from * to last st, k1. Rnd 2: *K1, p3, (k1, p1) x 3, rep from * to last st, k1. Rnd 3: *K6, (p1, k1) twice, rep from * to last st, k1. Rnd 4: *K1, p3, k2, (p1, k1) twice, rep from * to last st, k1. Rnd 1: Work the Corrugated st patt across the first 31 (31, 41, 41) sts, k1, kfb, k to last 3 sts, kfb, k2. 2 sts inc’d. Rnd 2: Work the Corrugated st patt across the first 31 (31, 41, 41) sts, k to end. Rep Rnds 1 & 2 a total of 13 (18, 18, 23) times until there are 56 (76, 76, 96) heel and gusset sts, ending after Rnd 2. 87 (107, 117, 137) total sts. Row 1(WS): Sl1, p28 (38, 38, 48), p2tog, p1, turn. Row 2(RS): Sl1, k3, ssk, k1, turn. Row 3: Sl1, p4, p2tog, p1, turn. Row 4: Sl1, k5, ssk, k1, turn. 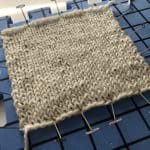 Rep Rows 3 & 4 working one more stitch before the decrease on each row until all heel sts have been worked and 28 (38, 38, 48) heel sts remain, ending the last 2 rows with ssk/p2tog if necessary. Next Rnd: Pu and k 1 st between the last heel st and the first instep st, work the Corrugated st patt across instep sts as est, pu and k 1 st between the last instep st and first sole st, k to end. 30 (40, 40, 50) sole sts, 61 (71, 81, 91) total sts. Pattern Rnd: Work across 31 (31, 41, 41) instep sts maintaining the Corrugated Pattern as established, k to end. 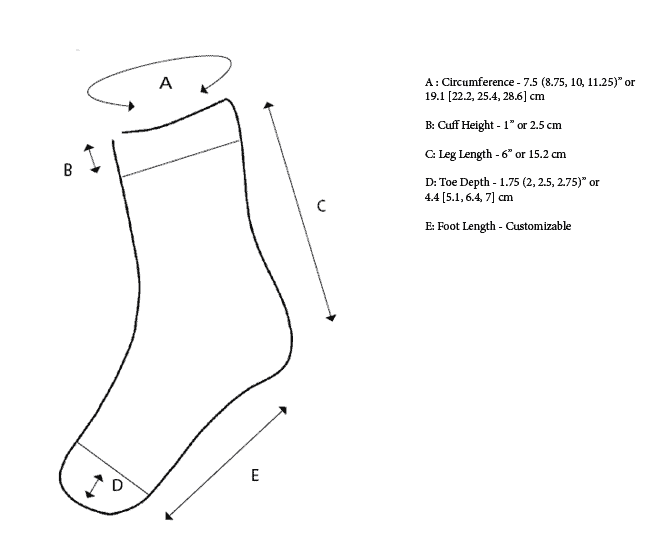 Rep the Pattern Rnd until foot measures 1.75 (2, 2.5, 2.75)” or 4.4 [5.1, 6.4, 7] cm less than desired finished length. Set Up Rnd All Sizes: K15 (15, 20, 20), k2tog, k14 (14, 19, 19), pm, k to end. 60 (70, 80, 90) sts. 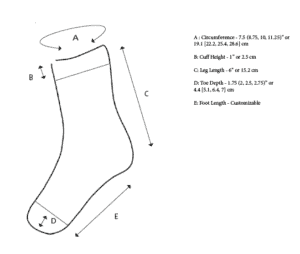 Set Up Rnd Medium and Wide Circumferences Only: Knit 1 rnd transferring the first 3 and last 2 sole sts to the instep sts. 35 (45) instep sts and 35 (45) sole sts, 70 (90) total sts. Work 1 Dec Rnd followed by 2 Non-Dec Rnds 4 times. 44 (54, 64, 74) sts remain. Work 1 Dec Rnd followed by 1 Non-Dec Rnd 3 (3, 4, 5) times. 32 (42, 44, 46) sts remain. Work Dec Rnd only 4 (6, 6, 6) times. 16 (18, 20, 22) sts remain. Dec Rnd: *K1, ssk, k to 3 sts before m, k2tog, k1, rep from * once. 4 sts dec’d. Non-Dec Rnd: K to end. Cut yarn leaving a 6 inch or 15.2 cm tail. Arrange top and bottom sts on 2 needles and use tail to graft stitches together using Kitchener stitch. Weave in ends and block. 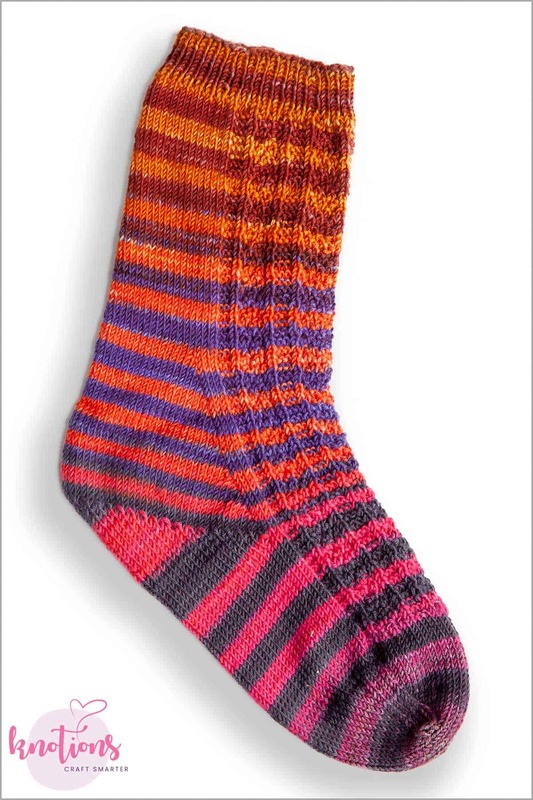 Make 2nd sock. 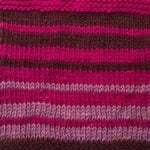 I am a knitwear designer specializing in socks! 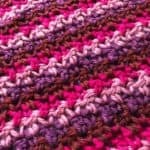 I create unique, beautiful, knitting patterns that are graded for multiple sizes. I am a sarcastic, nerdy, yarn-loving, obsessive knitter who finds inspiration in anything and everything. I have far more ideas than I have time and my yarn stash has its own bedroom in our house. 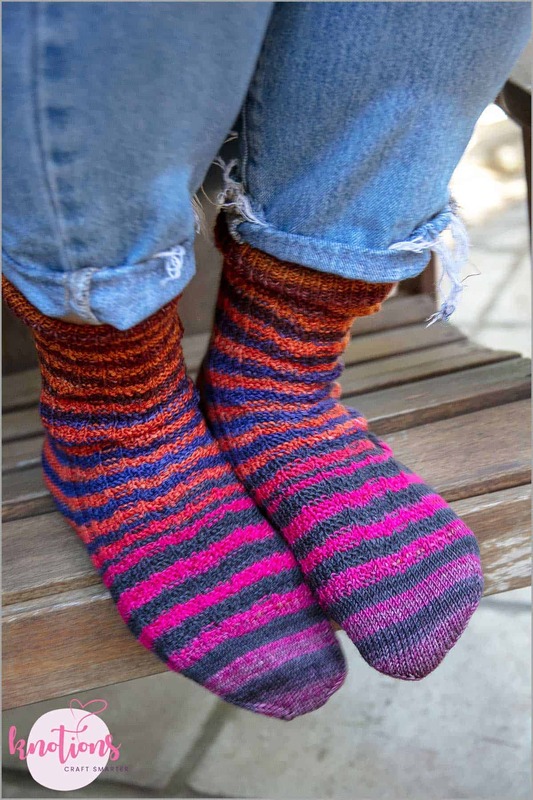 My designs have been featured in I Like Knitting magazine, Blue Moon Fiber Arts Socks That Rock Rockin’ Sock club, Knitscene, Love of Knitting and I am proud to be a contributing designer to the upcoming books, Knits in No Timepublished by Stackpole Books and Artful Arches by KnitPicks. 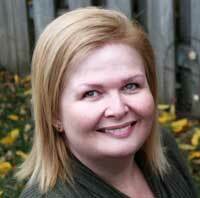 I live in Ontario, Canada with my amazing husband, 2 super-awesome kids, 2 furry-lovey dogs and 1 fluffy-charming cat. You can find me on Ravelry, Instagram and twitter as well!